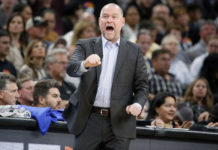 The Denver Nuggets, who have been the most injured team in all of the National Basketball Association, are getting healthy and getting healthy fast. Paul Millsap, who broke his big toe on his right foot back on December 7th, returned to the floor for the Nuggets on Saturday night against the Phoenix Suns and now it is looking more and more like Gary Harris could return on January 1st, 2019 against the New York Knicks. Harris, who injured his right hip on December 5th, 2018, has missed 11 games as he battles back from injury, but on the final day of 2018, he received good news. After going through practices in a limited role for the better part of two weeks, including varying degrees of participation in multiple shootarounds, Harris has been officially upgraded to questionable a day prior to taking on the Knicks on the first of the year. Harris being upgraded to questionable was a move that was expected by many as soon as Nick Young was waived. 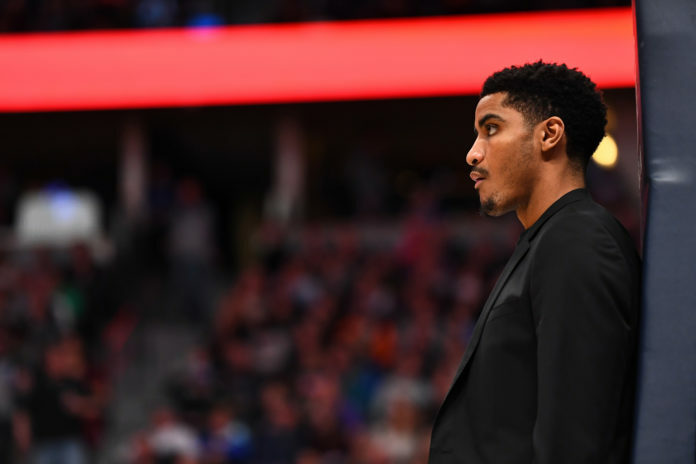 Young was able to be signed by Denver only because the Nuggets were granted an injury hardship relief exception that expired as soon as Denver had four or less players out with injury. With Young being waived the day after Millsap returned from injury, it was easy inferred that Harris was set to return shortly after. Otherwise, Denver would have unnecessarily waived a Young, who provided the Nuggets with depth. Now, the next step for Harris is seeing how his hip feels after shootaround and his pregame warmups before taking on the Knicks. 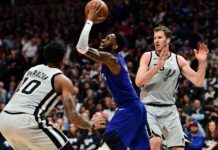 So long as there are no lingering issues, or a potential for Harris to re-injure himself, all signs point to Harris playing on the first day of 2019 against the Knicks. Harris has said that he has progressed quicker than he thought and that he is feeling good. Inversely, if Harris feels any discomfort or does not feel like he is ready to return to the floor, the Nuggets will not rush him back. The main goal is to make sure that everyone injured is fully healthy and that includes Harris. Regardless of if Harris plays on Tuesday night or not, he is very close to returning and Harris is excited. 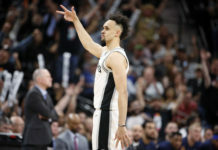 Harris has played in 21 games this season for the Nuggets and is averaging 16.6 points, 3.2 rebounds, and 2.9 assists in 32.2 minutes per game while shooting 43.8 percent from the field and 32.4 percent from 3-point distance. For the rest of the Nuggets injured players, there is not any new update outside of the fact that Jamal Murray, Malik Beasley, and Paul Millsap are all officially off the Nuggets injury report. Will Barton is also still progressing through his rehabilitation process. He has been participating in parts of practice, but Denver will continue to be extremely careful with his injury. Barton has never sustained a series injury before so there is no point of reference on how his body will respond to an increased workload. Isaiah Thomas has apparently ramped up his workload recently and has even began to play with small amounts of contact, but there is still no timetable for his return. Jarred Vanderbilt has also participated in small portions of practice, but also does not have a timetable. Michael Porter Jr. also has no timetable for his return even though he has been seen shooting all year.